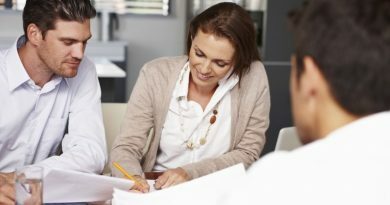 Choosing the best Roth IRA – A Roth IRA is a great way to save for your retirement, and if done properly will allow you to retire with quite a bit of money to your name. Choosing the best Roth IRA doesn’t have to be hard, you just need to take certain steps to understanding which one works best for you. 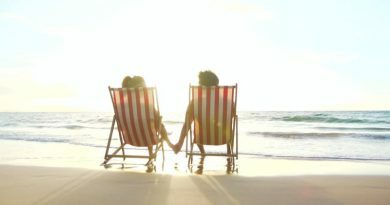 With that being said, lets take a look at some important things to consider when you are searching for the best Roth IRAs. Some people think that there truly is a “best Roth IRA” out there. This is not true, as a Roth IRA is not a product based on a one size fits all mentality. It is your job to search some different companies and see what they offer. This will help you gain a better understanding of what type of Roth IRA is the best fit for you. Stock Brokers: There is nothing legally binding them to make proper investments that will help you reach your retirement goals. Annuities: They carry too many fees. Gold IRAs: Gold is just too risky right now. So where do you invest your money then? I want to stop short of telling you exactly where to put money – I don’t want to be responsible for anyone losing money, but mutual funds are generally a pretty safe bet. Just remember there is always risk, but a mutual fund holds way less risk than some other investment methods. Three very important aspects of proper Roth IRA investing are share class, break points and fees. You need to make sure you understand all three before jumping into investments. What are all of these and what do they mean for you? Which share class do you choose? Well, that depends on how you want to pay fees. Share fees are paid upfront, B share fees are scattered out over time and paid slowly, and C share fees usually allow you to get a lower sales charge, but have higher fees over time. The share class you choose will be based on how you want to pay your fees. I prefer A shares, simply because I can get all my fees paid and out of the way, however, many people enjoy paying slowly and over time, so B shares would be a great way to go as well. Break Points: This is the amount of sales charge you pay based on the amount of capital you have invested. The more you invest, the lower the sales charge. You will obviously pay a lower sales charge on an investment that carries $50,000 or more than you would on an investment that only carries $20,000. Make sure you understand the break points and are fully aware of the sales charge you will pay. Break Point (sales charge): See above. Annual Expense Fee: The fee the account holder pays the institution to manage the account. 12b-1 Fees: Some companies charge this fee to pay for things like advertising and brochures. Stay away from any companies that use this fee, even if there other fees may be a bit better, as you will probably pay more anyway. If you take only one thing away from this article let it be this; there is no perfect Roth IRA. The best one is based on what is the best situation for you. Do a little research and you will be well on your way to investing in your future.